Leah Blankendaal loves new music. She loves talking about it, writing about it, and making it. All of this informs what she does. 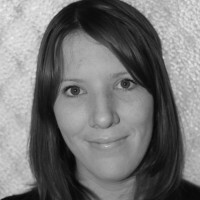 Before relocating to Melbourne in 2015, Leah completed a Bachelor of Music and a Master of Communication Studies at the University of Western Australia, where she was awarded the Dorothea Agnus Memorial Scholarship. Here she worked on the large scale music & photography installation A Thousand Facets, which was premiered at Kurb Gallery in 2013. Currently Leah writes for Cut Common and has written previously for artsHub, Xpress Magazine, the New Zealand Musicological Society and the Musicological Society of Australia. She produces Music in Melbourne and presents Australian Sounds on 3MBS.